Mr. Charlie and Miss Jillian are in Tap 24.7’s upcoming show “Murder at the TAP’Ocho” as company members and Lindsay Abell and Emily Eggenberger are joining this year too. They auditioned by video to be chosen as cast members. 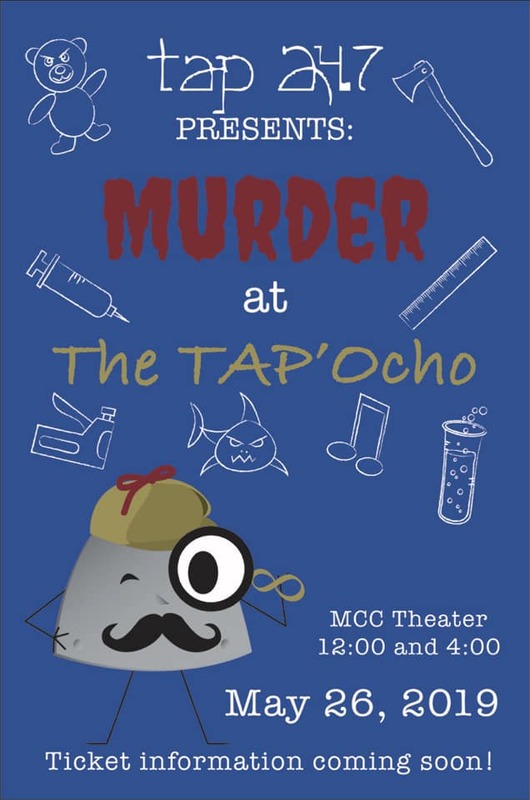 This will be Tap 24.7’s 8th annual show, and it’s a super-fun murder mystery! Save the date: May 26th at Mesa Community College in Mesa, AZ. Show times are 12:00 and 4:00.